These Animal Luggage Tags are perfect for taking on your next trip! They are super small and easy to take care of. 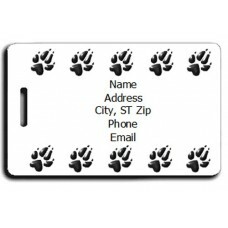 You can get up to 5 lines of personalized text printed on the back so if they become lost, they will find their way back to you. 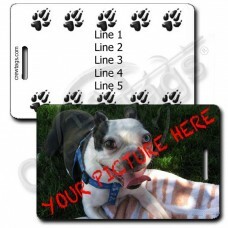 Take these Paw Prints Luggage Tags with you on your travels. We can print just about anything you wa..